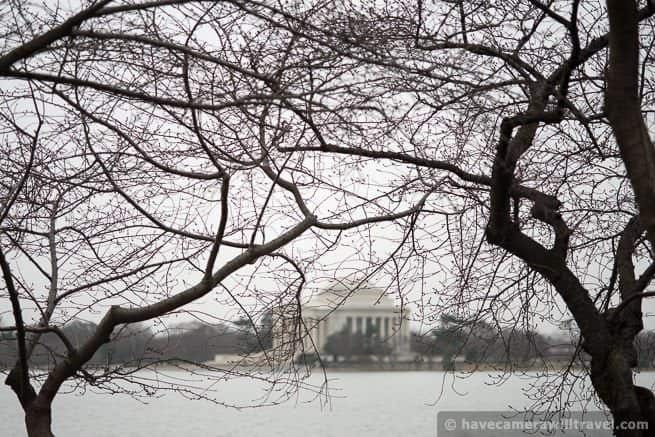 The winter that just won't end brought another decent-sized snowstorm on Monday, dumping up to about 8 inches on the area (a bit less around the Tidal Basin). A warm afternoon yesterday has melted quite a lot of the snow, but it's now drizzly and still quite cool. There's even talk of perhaps another cold storm next week. You'd never know it from our weather here, but most of the planet has had its warmest January and February in decades. On the trees, we have the first signs of green tips coming through. 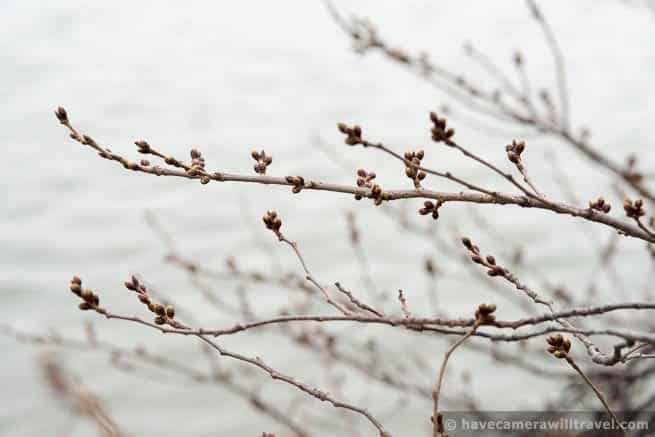 From a distance, there's the first hint of the reddish brown tint the trees will get as the buds change color and get larger. We've had a few nice days here and there to tempt us for spring, and here and there around town the first daffodils are starting to appear, but overall temperatures still remain below average. 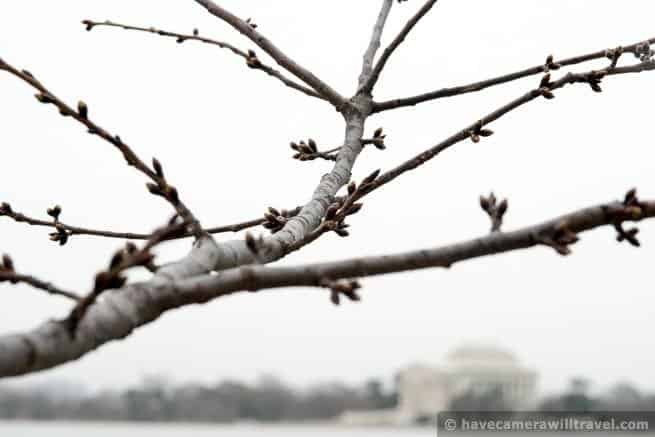 That cold weather is delaying the peak bloom to later than average. 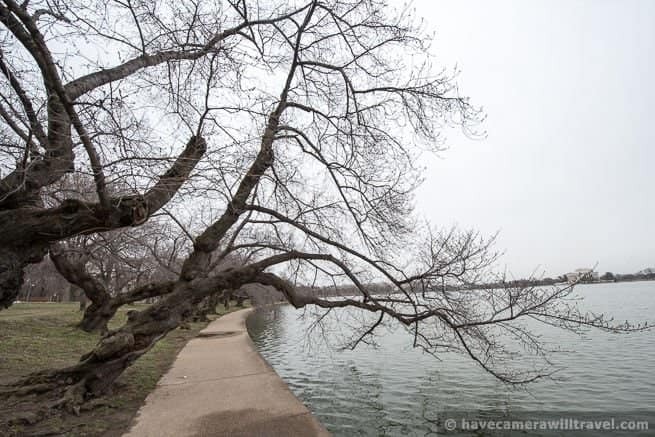 By this time last year we had some of the first flowering trees near the Tidal Basin starting to bloom. But we're still waiting on them this year. 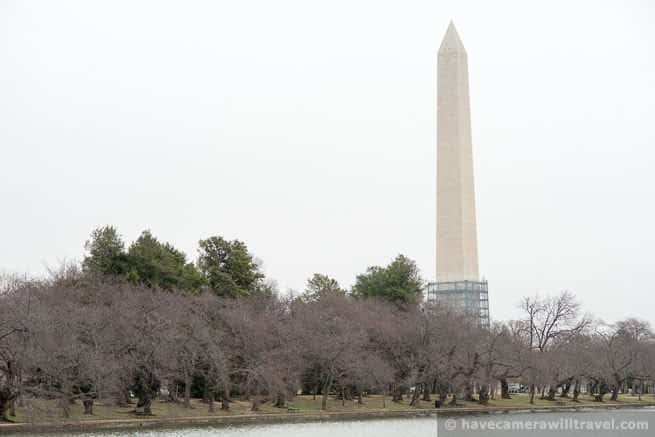 For a direct comparison with last year, take a look at the photos from March 19, 2013. As you can see in the shots, we're a bit behind where we were this time last year. So glad you have this website, and keep it updated like this! I for one am very grateful! Thank you. You're welcome! Glad it's useful. 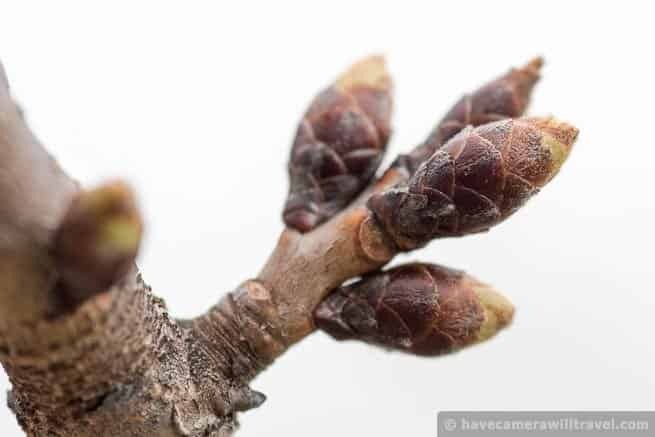 We also will be visiting from Massachusetts the beginning of April in hope of seeing spring bust open. 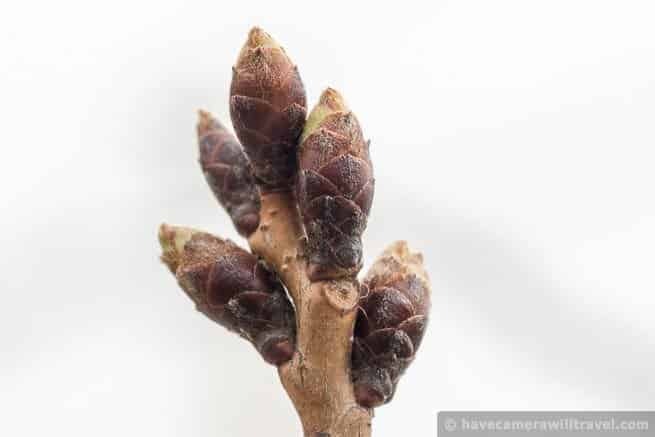 With another cold snap expected next week do you think this damage the petals and turn them brown? It shouldn't. 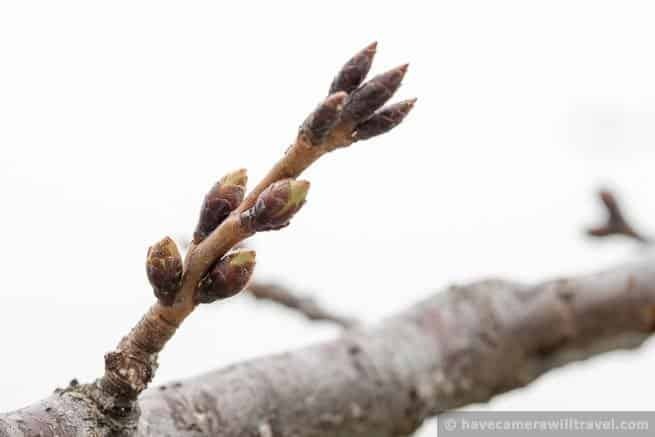 The buds/florets are still pretty tightly wrapped and well protected. thank you for the updates on the winter that won't quit, I have altered my visit dates three times now so that we can see them at their best...I'm in Massachusetts and we may have snow next week as well. Your pictures are beautiful, you capture every detail. Glad you have the flexibility to change your plans. I don't think there's much fear of being surprised on the earlier side of the predictions. If anything, I wouldn't be at all surprised if they're pushed back. 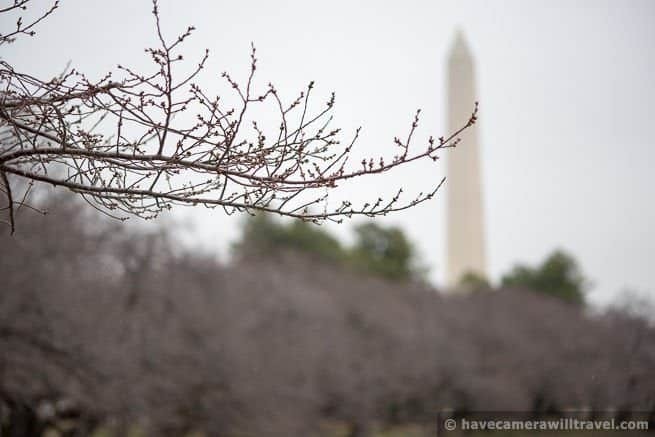 The current forecasts are about the same as last year's actual peak bloom date (April 9), but as you can see from the photos from this year compared with last year, we still have some catching up to do.